Do you ever look at your cleaning “to-do” list and feel like you don’t even know where to start? Sometimes it feels like it never ends. 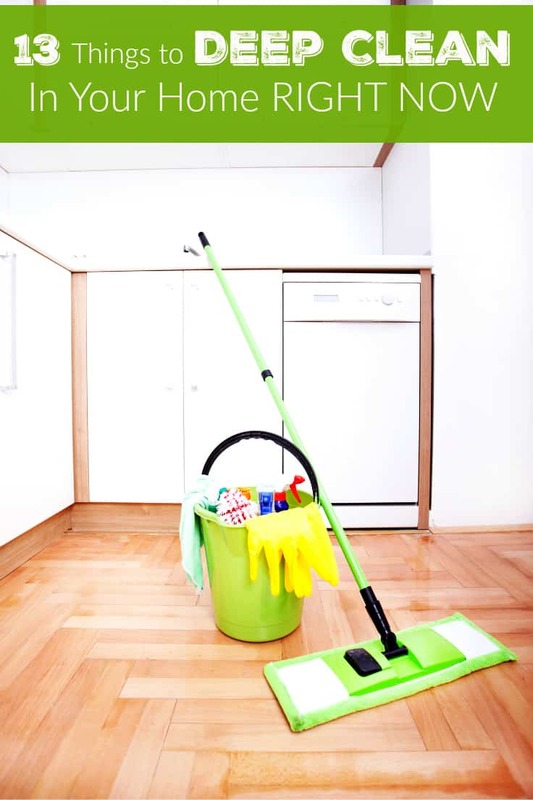 You’ll finish one cleaning job and move onto others and then have to circle back again to the first cleaning job. That’s the way it rolls, unfortunately. In my eBay guide, 13 Things to Deep Clean in your Home Right Now, I share a list of cleaning jobs that are often neglected or even forgotten about. Getting these tasks completed may not be the most fun thing to do in the world, but someone’s gotta do them! I don’t have a housekeeper so that person is me in my home! Which cleaning job from my list would you choose to do first? I think I would clean the bathroom first to get the undesirable job out of the way before tackling others. I wrote a note on your ebay post regarding #6. I don’t think you want to get rid of the grout, but the mold on the grout! Number 5 with declutter my cabinets and pantry. big one for me,the rest I keep up with but this one eludes me!! I definitely need to deep clean my living room furniture! It has been a while since I have done that. My bathroom could use a big, deep clean scrubbing right now. I think I’ll tackle it tomorrow when I have some more time! I would probably start with washing the bed linens. Next, I would work on decluttering. I’d save the toilets for last! I always forget the fans! We just deep cleaned the house this morning and again we for got the fans! Great tips I do a good portion of them! I really hate to clean… I feel like I am missing something more important or fun, when I am stuck cleaning, BUT being an adult, I do clean. I am actually quite neurotic about cleaning the bathroom and get all the little spaces, nooks and crannies… BUT, I am not so good with dusting and especially not rooms with a lot of knick knacks and collectibles; I am a minimalist by nature so collecting the kids’ “memories” all over the house goes against my natural inclinations. I wish there was something that would make dusting easier. Cleaning can be so much easier if you just take gradual steps throughout the week rather than letting it all build up! Number 14, get rid of clutter. I’ve been putting this off for so long and I really need to work on this.